Anybody who pays attention knows that will.i.am works with just about everyone in the music business these days. Hardly an award show goes by without a new performance and collaboration from the Black Eyed Peas mastermind. Excitement was high for the wrap party for his new solo album, Willpower, at the Avalon Hollywood. It was certain many of his famous friends would be in attendance. will.i.am and Nicole Scherzinger made quite the entrance in his custom Delorean, a prototype for a car business he is developing. It was just one of many highlights. 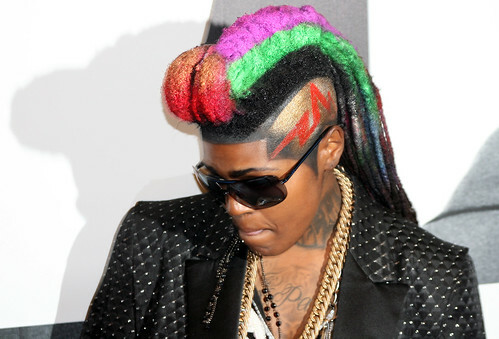 I'm not saying I would sleep with UK artist Saint London. I'm just saying if you did, your bed would probably look like you schtupped a clown. Lead singer of the Summer Set, Brian Dale, and America's Next Top Model finalist, Allison Harvard (a ghost of a ghost if there ever was one). This look may have inspired someone to write a new Ring movie. The Rejectz clowned on the red carpet. One member donned a Silence of the Lambs mask and cheap costume crown. The world may never know what Corey Feldman was doing at the Willpower album wrap party. I can't even decide if the see-thru blue bullfighter shirt or the elusive front-facing rat tail was the best part. It would be easy to make a joke about it being good to be the son of Interscope boss man Jimmy Iovine. 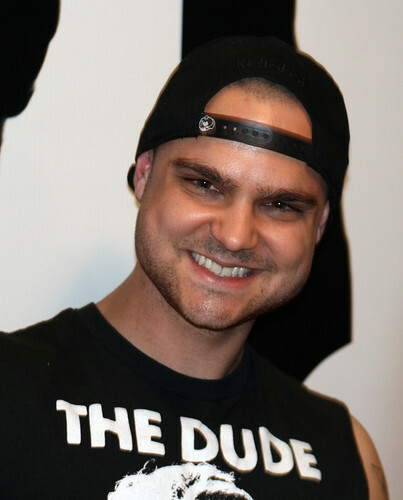 However, Jamie Iovine, aka DJ EYE, was rocking a "THE DUDE ABIDES" t-shirt. I cannot hate on that. 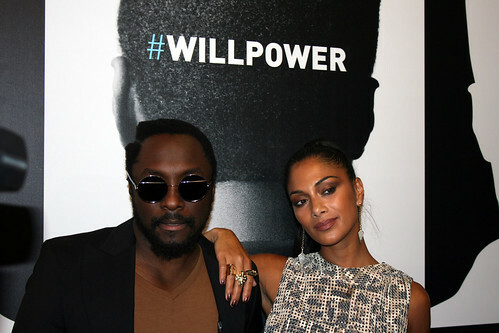 The man of the hour, will.i.am, and his date for the night, Nicole Scherzinger, pose under the reason we were all there. I joked that willpower was what I would need to stay up past my bedtime early in the night. These two mug under the real reason for the word at the Avalon that night. Lindsay Lohan flew through the red carpet in an attempt to duck the paparazzi. I was as happy to get her smiling, as I was to realize that us photogs on the red carpet weren't the ones considered paparazzi.